Modu-licious was designed to be modular and delicious at the same time! The idea was to design just a few cabinets that would be functionally flexible so they could be used in every room in the house, and even move rooms as the household and the needs change. By making the cabinets modular, it's possible to scale up or down to accommodate the need at hand. 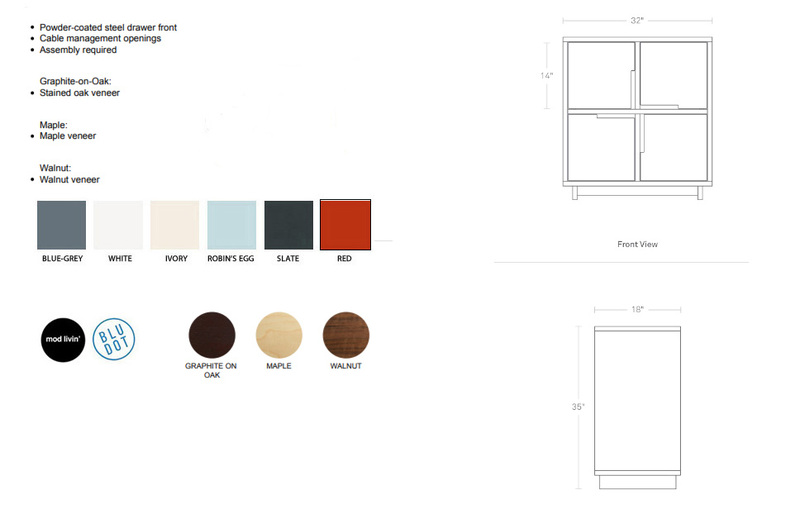 The modularity, combined with the variety of door and drawer colors, allows the customer to have a role in the design.